Marisa Cruz is a Post-Doc Researcher at Laboratório de Fonética and Lisbon Baby Lab, University of Lisbon. Sónia Frota is Associate Professor in the Department of General and Romance Linguistics and the Director of the Lisbon Baby Lab, University of Lisbon. 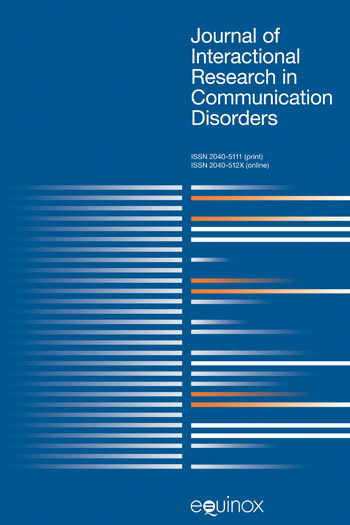 This volume focuses on research on prosodic variation, comprising intonation, prosodic phrasing, and segmental phenomena that are prosodically motivated or constrained, in several languages and language varieties. Besides Portuguese (European, Brazilian, and African varieties), the book covers another three unrelated languages and their varieties: Romanian, Arabic, and Assamese (spoken in India and Bangladesh). Language coverage is thus diverse, including understudied languages/varieties. The approaches followed are both experimental and theoretical. 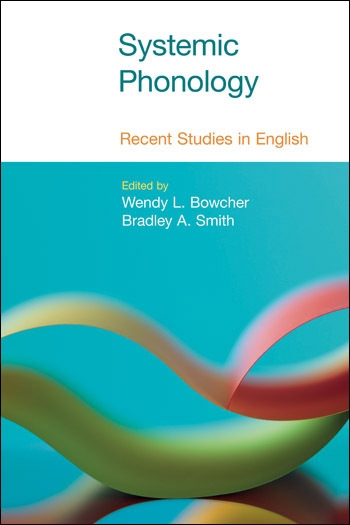 All the chapters share a common goal: to add to the knowledge of prosodic variation in each of the languages and varieties studied, and to contribute to the understanding of prosodic grammar, in general. Despite claims of linguistic universals involving high pitch (Bolinger 1978), the prosodic realisation of interrogatives varies cross-linguistically (Rialland 2007). This paper contributes to the task of establishing the extent of cross-linguistic variation in the prosodic realisation of questions, by presenting the results of prosodic analysis of read speech interrogatives in a range of syntactically related spoken Arabic dialects. We then offer a case study of the presence vs. absence of focus marking of wh-words in different Arabic dialects, in the context of theoretical debate regarding the prosodic spell out of semantic and/or syntactic features in interrogative contexts (Truckenbrodt 2013). Recent research on yes-no question intonation in European and Brazilian Portuguese suggests that there is a high variety of nuclear patterns of yes-no questions not only between European and Brazilian varieties but also across European Portuguese varieties (Frota et al. 2015, Silva 2014, Cruz et al. 2014, among others). However, there is a lack of studies that include a detailed description and comparison of yes-no questions in different varieties of Portuguese. The first goal of the current study is to describe the intonation of yes-no questions in European and Brazilian Portuguese (EP and BP, respectively) by analyzing a wide range of utterances and regions covered within the project Interactive Atlas of Prosody of Portuguese. Considering the fact that interrogatives can have different pragmatic functions, we decided to analyze yes-no questions also from a pragmatic point of view, thus looking at neutral and focused yes-no questions. Studies have shown that speakers can signal the difference between neutral and focused questions intonationally, in various languages (Frota 2002, Savino & Grice 2007, Lee et al. 2008, Truckenbrodt 2009, Crespo-Sendra 2011). Some studies have found a gradient contrast between the two types of questions, while other studies indicate that the contrast is expressed categorically. Therefore, the aims of this paper are: a) to analyze and compare phonologically the nuclear configuration of neutral and focused yes-no questions across Portuguese varieties; and b) to investigate the strategies that EP and BP speakers use to distinguish between neutral and focalized yes/no questions. The intonation of northeastern Brazilian Portuguese shows a nuclear falling pitch accent in statements, with a salient high-pretonic rise (Cunha & Colamarco, 2005; Silvestre, 2012), which was labeled in literature as ¡H+L* (Moraes, 2008). This contour was also documented in Recife (PE) and in João Pessoa (PB), through different elicitation tasks, by the authors of the present paper. Four female and two male speakers from Recife aged between 23 and 31, with high school completed, participated in a questionnaire, aimed at eliciting 20 target broad focus statements with a nuclear sentence-final object phrase, varying in syntactic complexity (e.g. compound words, syntactically articulated phrases, phrases with an embedded relative clause) and in number of tone bearing units, distinguishing simple object (1 TBU) from compound object (2 to 5 TBU). Results show that on compound object phrases Recife speakers may use either the hat pattern (39%) or the pre-tonic rise (61%), which is allowed in Pescara only for simple object phrases. The use of the pretonic rise instead of a hat pattern has proven to be sensitive to gender: 79% for women and 37% for men. This suggests that a productive rule PLATEAU > PRETONIC RISE / (if only 1 TBU), similar to Pescara, exists in Recife, but a process of prosodic reanalysis is occurring, led by young female speakers: as the simple object constituents are more frequent, the pre-tonic rise is being applied by analogy to all statements, independently of the number of TBUs, with the reanalysis of the right spreading of the trailing tone of a L+H* prenuclear accent as the leading tone of a nuclear accent. The paper proposes an intonational description which uses functional pitch contour elements relevant at the information structure (IS) level. A hierarchical view transforms utterances into hierarchies of communicative units (CUs) with own IS. The proposed intonational analysis consists in the utterance partitioning into information packaging units (CUs) and in applying functional labels to the CU constituents in order to describe the IS of all CUs within the utterance hierarchy. In this paper we have studied the prosodic aspect of how Contrastive focus (henceforth CF) is marked in SCA (Standard Colloquial Assamese) and NVA (Nalbariya Variety of Assamese), two varieties of Assamese, a head-final eastern Indo-Aryan language (Goswami, 1982) with SOV as canonical word order. In our study we have found that these two varieties employ the same pitch accent (L*+H) and boundary tone (HP) to demarcate both focused and non-focused phrases; the final phrase (verb) cannot be focused. When the phrase length is limited to two to three syllables, the trailing tone of the pitch accent is left unrealized, and pitch pattern becomes L*HP. A focused phonological phrase differs from a non-focused one in terms of increased pitch range [(F0max at the right boundary – F0min at the first syllable)]. Following Ladd’s Free Gradient Hypothesis (Ladd, 1994; Gussenhoven, 1999), we propose here that in SCA and NVA pitch range is used in a categorically distinct way rather than in a gradient way. Similar to the phonological implementation of pitch range in the languages like Catalan (Borras-Comes, Vanrell, & Prieto, 2014), English (Ladd D. R., 1994; 1996), Spanish (Prieto, 2004) among others, pitch range may potentially be represented phonologically in the Assamese varieties. Building on previous work, the current study contributes to the comparison and knowledge of variation in romance languages, with the major goal of mirroring prosodic variation in an intra and interlinguistic perspective. Pedro Oliveira is a Researcher at the Instituto de Medicina Molecular, Medical School, Centro de Linguística, University of Lisbon. This chapter focuses on hiatus resolution processes across Portuguese dialects, extending the authors’ observation of central vowels’ hiatus when V2 is stressed to hiatus formed by other vowels and in varying stress conditions (Oliveira, Paulino, Cruz & Vigário 2014; Paulino & Frota, 2014).